BERKELEY, Calif. (KGO) -- A judge denied a request to issue a restraining order against Alameda County prosecutors. 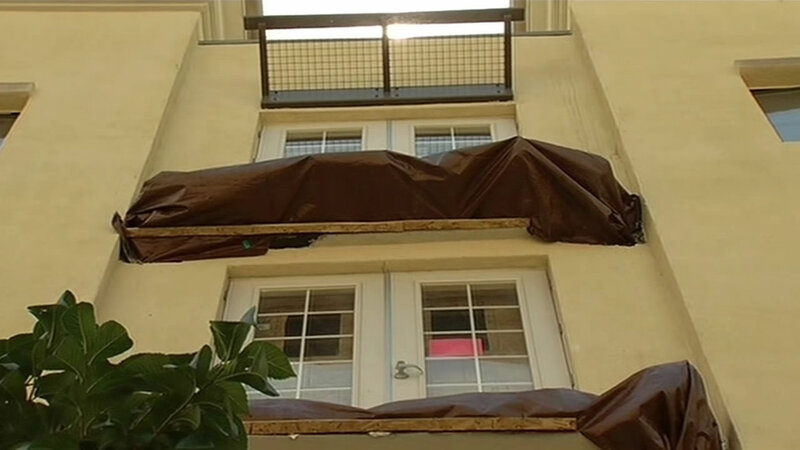 Thursday's request came from the company that built the balcony which collapsed in Berkeley. Six people died and seven others were hurt when the balcony gave way on June 16. The construction company argued that it should have a representative on hand when prosecutors test evidence. "That would be out of the ordinary and I think the judge made the correct ruling," said Kevin Dunleavy, Alameda County chief assistant district attorney. "We want to be able to conduct an investigation and do it fairly and impartially. And as the judge said we have that responsibility to everyone involved." Alameda County prosecutors add they're in the early stages of a criminal investigation into last month's tragedy. Click here to contribute to fund for one of the victims severely injured in the balcony collapse.